« Integrity in Racing: From Cobalt to Jiggers – what on earth is happening? Members have previously heard of the extraordinary work of Hagar Australia. Globally, about 40 million people live as modern day slaves. Cambodian Longdy Chhap was one of them. Stricken with polio at age 5, he lost the use of his legs. At age 8, a human trafficker convinced him that, instead of being a burden to his family, he should go to Thailand to work. He was promised good money and living conditions. Instead, he was abused, beaten and forced to beg on the streets before finally being rescued and sent to Hagar Cambodia. Now 29, Longdy has two Bachelor degrees – one in Psychology and one in English – and will soon commence a Masters in Development and International Studies. He works as a counsellor at Hagar, helping children rebuild their lives after the trauma. Hear his remarkable and moving story and learn more of the plight of modern day slaves and Hagar’s work to support them. 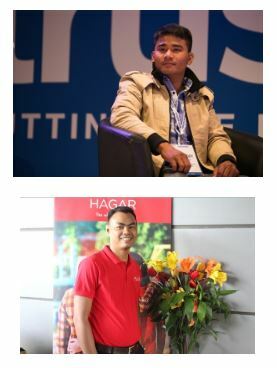 Longdy will be in Australia for a very short time and we are fortunate that he, along with Hagar’s Head of Counselling in Cambodia and regional expert in trauma recovery, Kia Hem, and CEO of Hagar Australia, Jo Pride, will join us to lead this courageous conversation.